Add another honor to the long list of awards and titles bestowed on one of the UO’s most acclaimed researchers. 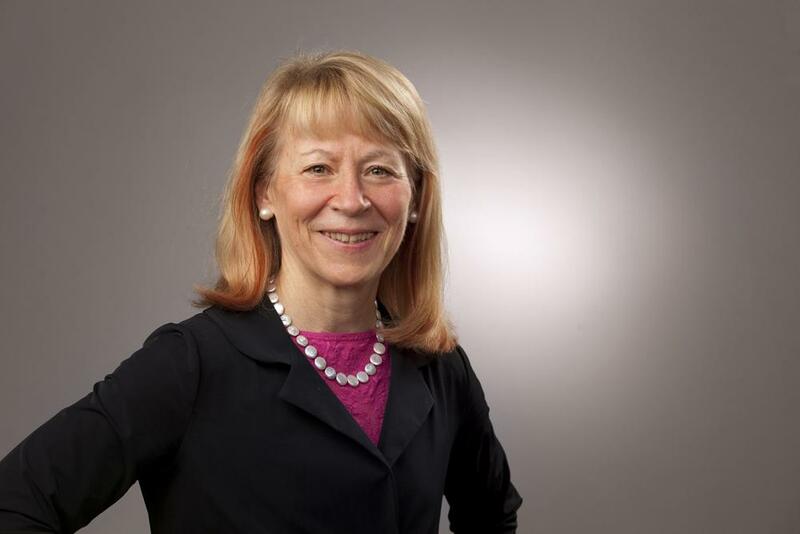 On Thursday, Dec. 4, the U.S. State Department announced that chemistry professor and Presidential Chair Geri Richmond has been selected as a United States science envoy to work with researchers in other nations on global issues. She was one of four researchers named as science envoys by Secretary of State John Kerry. The State Department has asked Richmond to focus on countries along the Mekong River in Southeast Asia: Thailand, Myanmar, Laos, Vietnam and Cambodia. In her role as envoy, she will meet with fellow scientists in the Asian nations to look for new areas for collaboration and ways to “address global challenges and realize shared goals,” the State Department said. Joining Richmond in this group of envoys are: Jane Lubchenco, professor of marine biology at Oregon State University and former head of the National Oceanic and Atmospheric Administration, for issues related to marine ecology, environmental science and climate change; Dr. Peter Hotez of the National School of Tropical Medicine at Baylor College of Medicine, an expert in global health and vaccine development, for work focusing on Saudi Arabia and Morocco; and Arun Majumdar of Stanford University's Precourt Institute for Energy, whose focus will be Poland and the Baltic region. Science envoys travel as private citizens and advise the White House, State Department and the American science community on what they learn on their visits and in their work with foreign scientists and institutions. Richmond has traveled to China and Southeast Asia as both a scientist and to pursue collaborations on related initiatives, including COACh, the Committee on the Advancement of Women Chemists, which she founded. Richmond already has had a rich career of research and service, earning many academic awards for her research while also serving in some of the world’s leading scientific organizations. Earlier this year she was named president-elect of the American Association for the Advancement of Science and will assume the presidency next year. In an interview following her AAAS election, Richmond spoke about the importance of forging strong connections with scientific communities in developing nations. She said that’s an area where the United States can build goodwill and help nations develop a science and engineering work force to lift their countries. Richmond also serves on the National Science Board and has been a member of a number of national scientific advisory boards, including the U.S. Secretary of Energy’s Hydrogen and Fuel Cell Advisory Committee. She is a member of the National Academy of Sciences and is a fellow of the American Association for the Advancement of Science, the American Academy of Arts and Sciences, the American Physical Society and the American Chemical Society. Among her many academic awards are the Davisson-Germer Prize for Atomic or Surface Physics from the American Physical Society, the Charles L. Parsons Award from the American Chemical Society and the Spiers Medal from the United Kingdom’s Royal Society of Chemistry. In 2013, Richmond was named the UO’s Presidential Chair in Science, becoming just the second person to receive a Presidential Chair. She held endowed professorships at the UO since 1998. She earned her doctorate in chemistry at the University of California at Berkeley in 1980 and a bachelor’s in chemistry from Kansas State University in 1975.